NSERCs Science, Action! contest: open for voting! In late 2012, a trans-Atlantic team of researchers co-led by Friščić reported they had been able to observe a milling reaction in real time, by using highly penetrating X-rays to observe the rapid chemical transformations as a mill mixed, ground, and transformed simple ingredients into a complex product. Now, the researchers have used this technique to discover a short-lived, structurally unusual metal-organic material created during the milling process. In a paper published March 23 in Nature Communications, the scientists dub the material “katsenite,” after the first author of the article, Athanassios D. Katsenis. Now a postdoctoral fellow at McGill, Katsenis was a visiting student in Friščić’s group when the research was conducted. 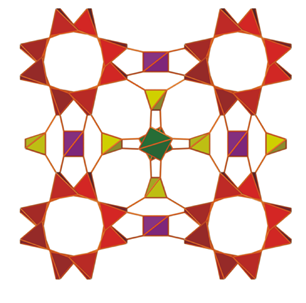 He analyzed the topology of the material -- the arrangement and connections between the structural ‘nodes’ of its crystal structure -- and realized that it didn’t correspond to anything previously seen. The discovery provides the first concrete evidence of something that has long been suspected, the researchers conclude: milling creates temporary phases with chemical structures that are not achievable under conventional conditions. Other contributors to the study include a group led by Ivan Halasz from the Institute Ruđer Bošković (Croatia), as well as researchers from the Max-Planck Institute for Solid-state Chemistry (Germany) and the European Synchrotron Radiation Facility (ESRF, France). Expert: how to restore Notre-Dame de Paris?